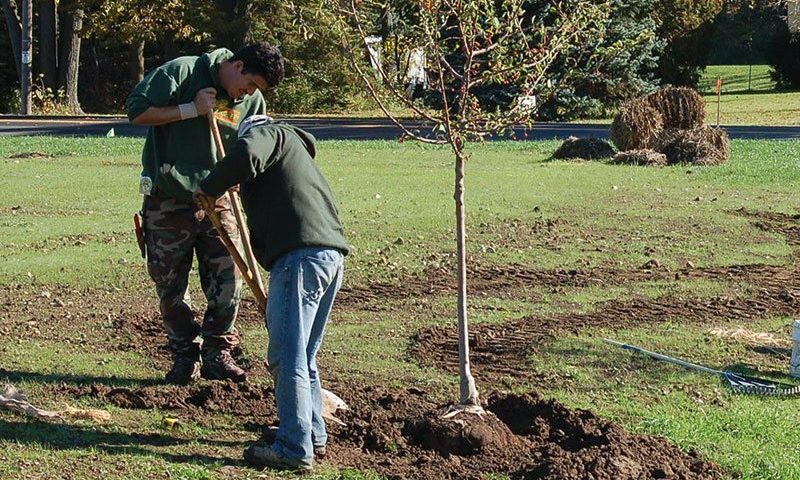 Properly planting trees is one of the best investments you can make for your landscape. When done properly, your plants will flourish. Your hard work labor will be forgotten and replaced with an overwhelming feeling of satisfaction. The suggestions below are collected from our professional staff, whom combined abound many years of experience. These suggestions are echoed by current research in the fields of horticulture and arboriculture. Plant selection is critical; they have different growing requirements and dig times. Likewise, different growing sites offers different growing conditions such as light exposure, soil types, surrounding toxicities, and pests and other wildlife. We highly recommend calling us for site advice or scheduling a consultation. The placement of plants in your landscape is equally crucial. The matured size of the plant will often dictate the proper location in the landscape relative to other plants, buildings, utilities, etc. Plants are living things - handle with care. Always pick up plant material by the root ball or by the container, never by the trunk or stems. Also, plan ahead; plant as soon as possible upon receiving your plant material. If you are not ready for planting, let us take care of your plants for you at the nursery, until you are ready for them. Plants with root balls or in containers are heavy. Be sure you are capable of handling and transporting, or have help available to assist you. You do not want to damage your new investment or risk personal injury. Johnson's Nursery offers delivery, setting and installation services. If would like us to delivery or install your materials, we are happy to work with your schedule to determine logistics. 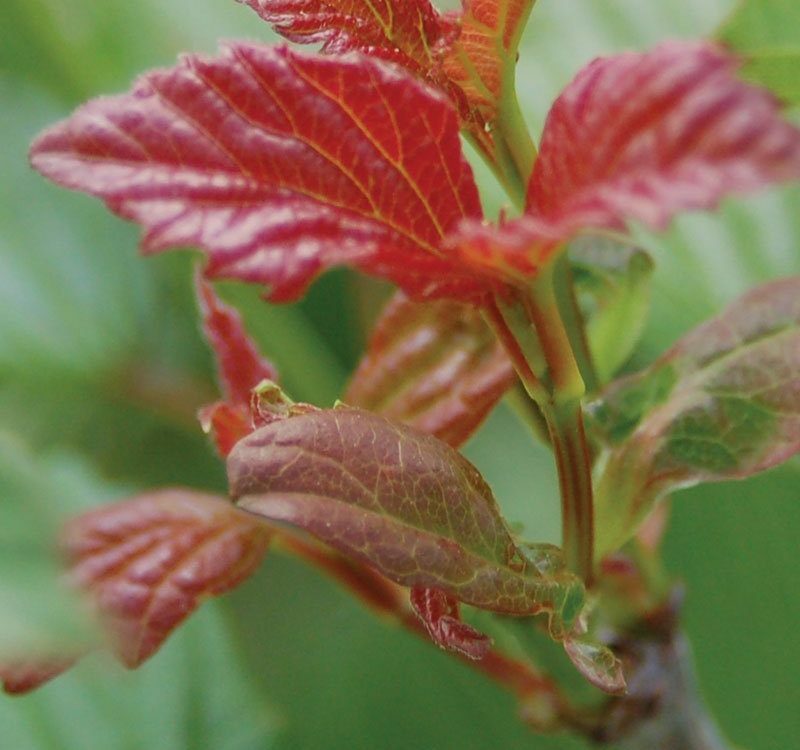 Lightweight tarp or bed sheet - A lightweight tarp or an old bed sheet helps protect the leaves or swollen buds from being ripped apart or desiccated by winds during transport to your landscape. Lightweight rope and small wooden blocks (2x4" or 4x4") - Lightweight roping and small wooden blocks are useful in stabilizing the plant load. We do not want the plants to roll around, potentially causing physical damage to the plants or personal injury. Wadding (old towel, sections or carpet, or clothes) - A section of carpet or an old towel, when placed over the trunk or trailer's end gate, will help prevent scarring on the trunk during transport. We load your plant for you at the nursery. If you come prepared, you and your plants should have a safe ride home. Before digging, call Diggers Hotline to locate underground utilities. "A plant can pull itself into the Earth to get what it needs, but it cannot push itself out when it's suffocating." Do not dig deeper than the plant's root ball. In most cases, we want you to plant your material slightly above (1-3") your existing grade. This rule does not apply to perennials or groundcovers which should be planted at existing grade. Dig a wide hole, twice as wide as the root ball. The wider the better. Use the diagram pictured and linked in the downloadable content section at the end of the article. Root systems of most plants are relatively shallow with the majority of a plant's roots located within the first foot of the soil. The majority of soils in the metro Milwaukee area are poorly drained, compact clay soils, especially on newly constructed homes or commercial properties. Roots have a difficult time penetrating them. Soil that is loosened by digging and backfilling makes for a healthier environment for root growth and establishment. Also, plant roots need oxygen as well as moisture; planting slightly above grade will ensure good drainage and oxygen for the root system. Planting too deeply will inhibit these will have a very difficult time acquiring these necessities. Planting too deeply could damage the trunk. Check the depth of the hole one last time before setting the plant. Remember the top of the ball should be 1-3" above the grade of the surrounding soil. Now carefully lift the plant by the root ball or roll it gently into the hole. Do not remove any burlap from balled and burlapped plants. Our burlap is biodegradable and the roots easily grow through. Leaving the burlap intact helps keep the plant stable in the ball and in the planting hole. For similar reasons, do not remove hemp twine (tan in color) from around the stems or trunk of your plants. If three to six months after planting you can see excess twine or burlap around the base of the plant, carefully remove it. 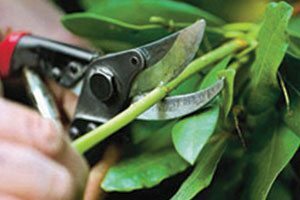 Should your plant material have synthetic twine (usually white), remove it after the tree is in the hole and almost completely planted. Wire baskets should be left intact. With the plant safely in the hole, it is time to backfill. The majority of your backfill should be the actual soil that came out of the hole you dug. Organic matter such as compost, plant starter or peat moss may be added to the backfill; however, it should not exceed 20% of the backfill and should be mixed thoroughly with the existing backfill soil. Break up large clods of soil and backfill it into the hole in layers, while gently compressing between each layer. Do not heavily compacting the backfill. Water can also be used to settle the soil (2-4") at the edge of the planting hole to facilitate settling. 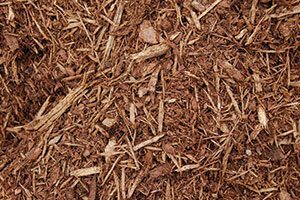 Do not place any soil over the top of the burlap (root ball) or likewise over the top of the soil level of a container plant. Container Grown Trees - Removed the plastic container at planting time. 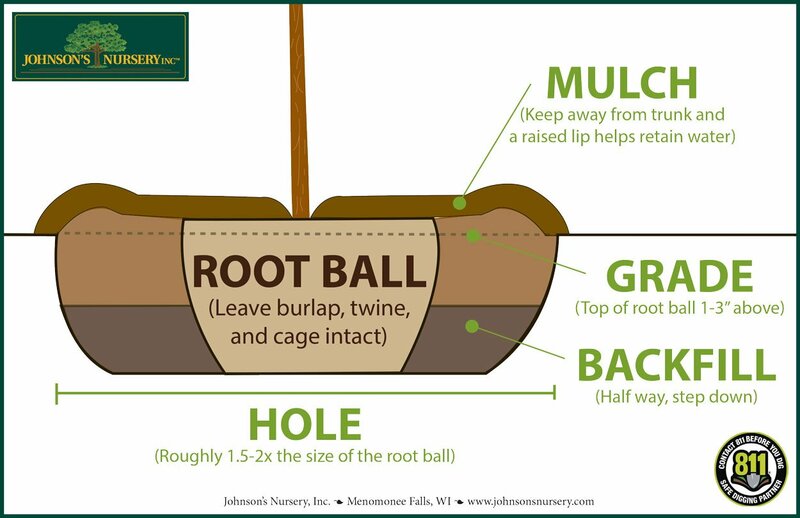 If the roots are circling at the bottom of the container (pot bound), score the bottom-sides of the root mass with a sharp tool and spread the root mass apart. This will encourage the roots to spread out as they grow. In bare root, paper containers - Leave the paper pots intact if planting early in the season. Remove the paper pots if planting later in the season. Always remove any portion of the paper pot that is above ground. Plants in containers should also be planted slightly above existing grade 1-2". Keep in mind you must gauge the hole size by the depth of the soil mass not by the depth of the container. Perennials and ground covers grown in small pots should be planted level with grade. Landscape Container Recycling can be done at Johnson's Nursery for free. 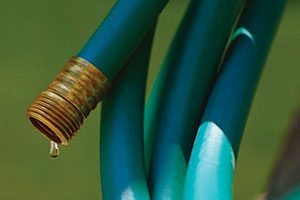 Do not fertilize at planting time; instead allow the plant to reestablish itself before trying to stimulate growth. We typically recommend NutriPak® Controlled Release Fertilizer Packets as fertilizer at time of planting. This product is a pre-measured, slow-release fertilizer which provides fertilizer over a three year period. Typically, if properly planted, trees do not need to be staked. Avoid staking if possible. 2" wide polypropylene strapping (or similar material) is the preferred material to use to stake trees. A wide soft material helps minimize any abrasion of trunk tissue. 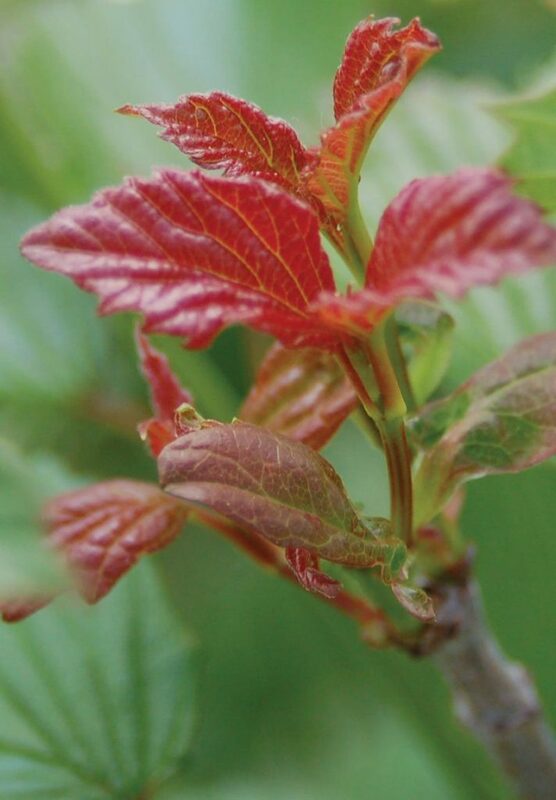 Plan on removing staking material in about 1 year if tree is firm in its planting state.